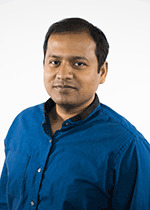 Vikas joined PNNL in 2016 as a scientist in the optimization and control group, where his focus is on the advanced modeling and optimization based control of buildings to achieve underlying efficiency, performance, robustness and computational requirements. He received his PhD and MS degrees in Mechanical Engineering from the University of Illinois at Urbana-Champaign in 2013 and 2010, respectively and a Bachelors of Technology degree from Indian Institute of Technology, Kharagpur, India, in 2006. His doctoral research focused on modeling and control for building energy management, especially thermal management. He worked at IBM Research Lab from 2013 to 2016, as a research scientist in the smarter planet division where, as the resident building systems expert, he led projects on data driven ‘black-box’ and ‘gray box’ modeling of buildings for applications such as demand response, set-point optimization and optimal supervisory control. He also led initiatives applying data driven analytics for smarter building energy management, such as exploiting opportunistic energy backup resources in commercial buildings of developing countries to reduce fossil fuel consumption during recurring power outages, and using opportunistic context sources for occupancy inference. He has an experience of working with facilities management teams for real world deployment and testing of solutions in the building energy management domain. Delgoshaei P., M.A. Austin, A.J. Pertzborn, M. Heidarinejad, and V. Chandan. 2017. "Towards a Semantically-Enabled Control Strategy for Building Simulations: Integration of Semantic Technologies and Model Predictive Control." In Proceedings of the 15th IBPSA Conference (IBPSA 2017), August 7-9, 2017, San Francisco, California, 965-974. Toronto:International Building Performance Simulation Association. PNNL-SA-126011. Bhattacharya S., Chandan V., Arya V., Kar K., “Thermally-fair demand response for district heating and cooling networks”. ACM International Conference on Future Energy Systems (e-Energy 16), 2016. Accepted for publication. Bhattacharya, S., Chandan, V., Arya, V., Kar, K., “Fairness based demand response in DHC networks using real time parameter identification”. In proceedings of Workshop on Efficient, Intelligent and Economic District Heating and Cooling (IntelliDHC), IEEE International Conference on Smart Grid Communications, 2016, Accepted for publication. Jain, M., Chandan, V., Prakash, A., et. al., “Software only occupancy inference in a workplace”. in proceedings of IEEE PES Innovative Smart Grid Technologies (ISGT), 2016. Accepted for publication. Jain, M., Singh, A., Chandan, V., “Non-Intrusive Estimation and Prediction of Residential AC Energy Consumption”, In proceedings of IEEE International Conference on Pervasive Computing and Communications, 2016. Accepted for publication. Nawhal M., Bansal, H., Kumar, A., Chandan, V., et. al.,“Unlocking the hidden potential of data towards efficient buildings: Findings from a pilot study in India”. In proceedings of IEEE PES Innovative Smart Grid Technologies in Europe (ISGT Europe), 2016. Accepted for publication. Saurav, K., Bansal, H., Nawhal, M., Chandan, V., Arya, V., “Minimizing energy costs of commercial buildings in developing countries”. In proceedings of IEEE International Conference on Smart Grid Communications, 2016, Accepted for publication. Saurav, K., Vishwanath A., Chandan, V., “ Set-point optimization frameworks for leveraging passive thermal storage in buildings”. In proceedings of Workshop on Efficient, Intelligent and Economic District Heating and Cooling (IntelliDHC), IEEE International Conference on Smart Grid Communications, 2016, Accepted for publication. Chandan, V., Vishwanath, A., Zhang, M., Kalyanaraman, S., “Data Driven Pre-cooling for Peak Demand Reduction in Commercial Buildings”. In proceedings of the 2nd International Conference on Embedded Systems for Energy Efficient Built Environments (BuildSys' 15), 2015. Chintala, R., Chandan, V., Ghai S. K., Charbiwala, Z., Seetharam, D. P.,"Spatio-temporal Energy Profiling of Commercial Buildings" , In proceedings of IEEE PES Innovative Smart Grid Technologies in Asia (ISGT Asia), 2015. Accepted for publication. Jain, M., Chandan, V., Minou M., Thanos, G., Wijaya, T.K., Lindt, A., Gylling A., “Methodologies for Effective Demand Response Messaging”, IEEE International Conference on Smart Grid Communications, 2015, Accepted for publication. Minou M., Stamoulis G., Thanos, G., Chandan, V., “Incentives and Targeting Policies for Automated Demand Response Contract”, IEEE International Conference on Smart Grid Communications, 2015, Accepted for publication. Rongali, S., Choudhury A., Chandan, V., Arya, V., “A Context Vector Regression based Approach for Demand Forecasting in District Heating Networks”, In proceedings of IEEE PES Innovative Smart Grid Technologies in Asia (ISGT Asia), 2015. Accepted for publication. Vishwanath, A.,Ghai S. K., Chandan. V., Ganu, T.,Charbiwala, M., Kalyanaraman S., Blake C., “Using Renewables to Reduce Peak Demand: Lessons from an Australian Experience”. In proceedings of IEEE PES Innovative Smart Grid Technologies in Asia (ISGT Asia), 2015. Accepted for publication. Chandan, V., and Alleyne, A., “Decentralized Predictive Thermal Control for Buildings”, Journal of Process Control, 24, pp. 820-835, 2014. Chandan, V., Ganu, T., Wijaya, T., Minou, M., Stamoulis, G., Thanos, G., and Seetharam, “iDR: Consumer and Grid Friendly Demand Response System”, In proceedings of the 5th ACM International Conference on Future Energy Systems (e-Energy" 14), 2014. Chandan, V., Jain M., Khadilkar, H., Charbiwala, Z., Jain, A., Ghai, S., Seetharam, D., Kunnath, R., “UrJar: A lighting Solution using Discarded Laptop Batteries”, In proceedings of ACM DEV, 2014. Khadilkar, H., Chandan, V., Kalra, S., Ghai, S., Charbiwala, Z., Ganu, T., Kunnath, R., Ming, L., and Seetharam, D., “DC Picogrids as Power Backups for Commercial Buildings”, IEEE International Conference on Smart Grid Communications, 2014, Accepted for publication. Chandan, V., and Alleyne, A., “Optimal Partitioning for the Decentralized Thermal Control of Buildings”, IEEE Transactions on Control System Technology, 21, pp. 1756-1770, 2013. Vinther, K., Chandan, V., and Alleyne, A., “Learning/Repetitive Control for Building Systems with Nearly Periodic Disturbances”, in proceedings of the European Control Conference, 2013, pp. 1198-1203. Chandan, V., and Alleyne, A., “Decentralized Architectures for Thermal Control of Buildings”, in proceedings of the American Control Conference, 2012, pp. 3657-3662. Chandan, V., Do, A., Jin, B., Jabbari, F., Brouwer, J., Akrotirianakis, A., Chakraborty, A., and Alleyne, A., “Modeling and Optimization of a Combined Cooling, Heating and Power Plant System”, in proceedings of the American Control Conference, 2012, pp. 3069-3074. Chandan, V., and Alleyne, A., "Optimal Control Architecture Selection for Thermal Control of Buildings", In proceedings of the 2011 American Control Conference, 2011, pp. 2071-2076. Chandan, V., and Alleyne, A., "Optimal Control Architecture Selection for Thermal Control of Buildings", In proceedings of the IFAC World Congress, 2011. Chandan, V., Mishra, S., and Alleyne, A., "Predictive Control of Complex Hydronic Systems", In proceedings of the 2010 American Control Conference, 2010. pp. 5112-5117. Li, B., Otten, R., Chandan, V., Mohs, W.B., Berge, J., and Alleyne, A., "Optimal On-off Control of Refrigerated Transport Systems", Control Engineering Practice, 18, pp. 1406-1417, 2010. Chandan, V., Zak, G., and Alleyne, A., "Modeling of Complex Hydronic Systems for Energy Efficient Operation", In proceedings of the 2009 ASME Dynamic Systems and Control Conference, 2009. pp. 123-130.